With Operation Grand Heist coming to end on April 29, could we see one last curtain call addition? Found in-game through a glitch, Reddit user, Xarson1270, shares a screenshot of some new descriptive text detailing “Smoke”. Smoke: Smoke grenade with large radius. Enemies inside are visible to Spectre. 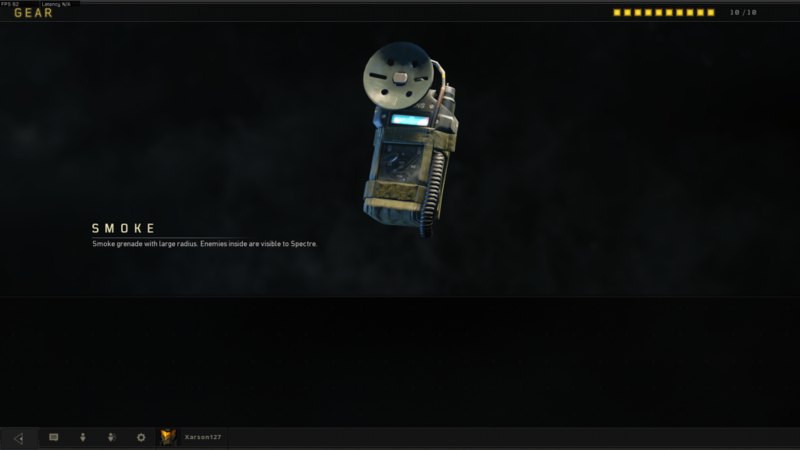 Not only does this glitch reveal some new equipment, but full-on mentions the Black Ops 3 Specialist, Spectre! While it is odd that this text is showing up in the Gear tab, as specialist equipment normally doesn’t appear here, it could still allude to some future updates. Call of Duty Black Ops 4 currently has no smoke grenades outside of Blackout. What’s even more interesting is that in Black Ops 3, smoke grenades weren’t even part of Specre’s arsenal. 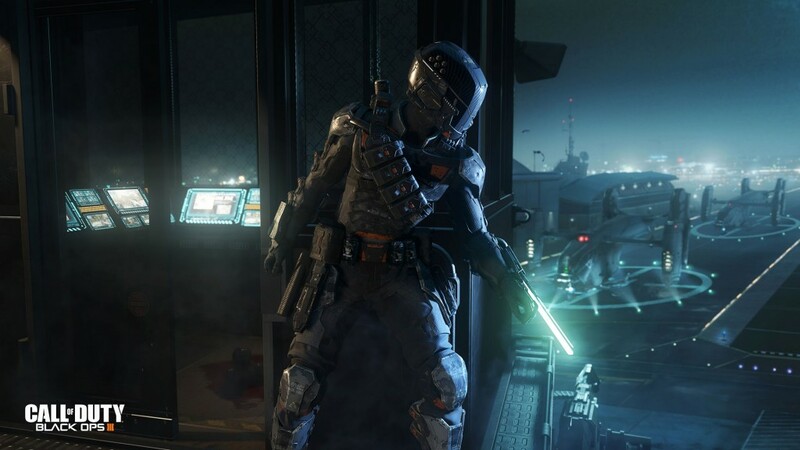 For those who missed out on Treyarch’s previous Call of Duty, Spectre was essentially a cybernetic ninja that could use Active Camo to sneak around the map or the Ripper weapon that would instakill enemies with one swipe from far distances. 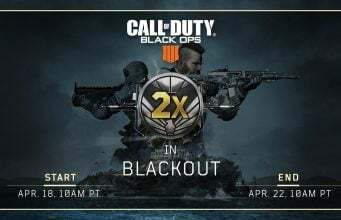 While we don’t know if Spectre or Smoke Grenades will make their way to Black Ops 4, this leak reveals that there is a high probability of these two joining the fray very soon.